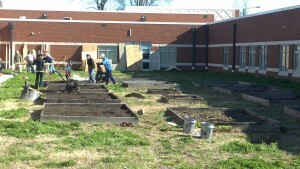 This spring Earth Farms Organics has been trying to get involved with as many area schools as we can. We have given soil donations to numerous schools and organizations in hopes of inspiring young minds to garden the environmentally friendly way. Earth Farms has also been going out into the community to share how composting works and how its helps our environment. Through education and soil donations we hope to teach the next generation how to be more sustainable. Here is an article from the South Charlotte Weekly about our compost donation to Polo Ridge Elementary School . We think being involved in the community is vital to what we do and are always looking for ways to give back, especially in the name of compost education!